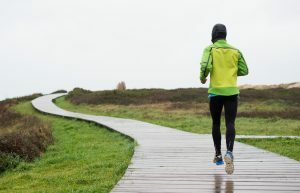 An optimal protection from adverse weather conditions certainly translates into greater comfort; but, above all, in the case of sports apparel, it helps optimize performance: an equation that applies to all outdoor sports without exception. 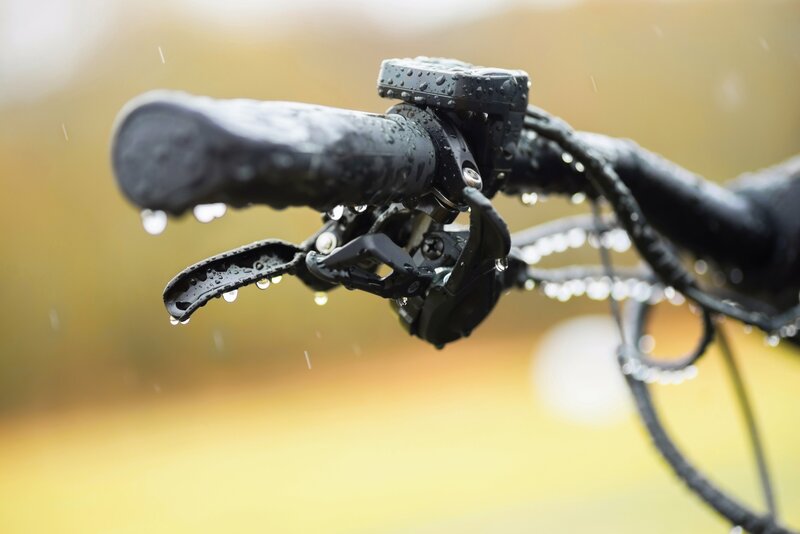 Furthermore, when low temperatures are combined with rain or snow, the going gets even tougher, with a need to ensure protection from the damp, as well as breathability and warmth. DWR M is the long-lasting water repellent technology developed by M.I.T.I. to satisfy all of these requirements: for application on all M.I.T.I. 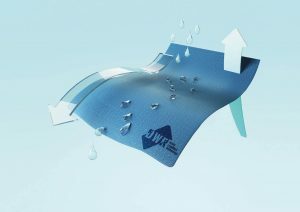 fabrics, it enables water to slide off the surface instead of being absorbed. 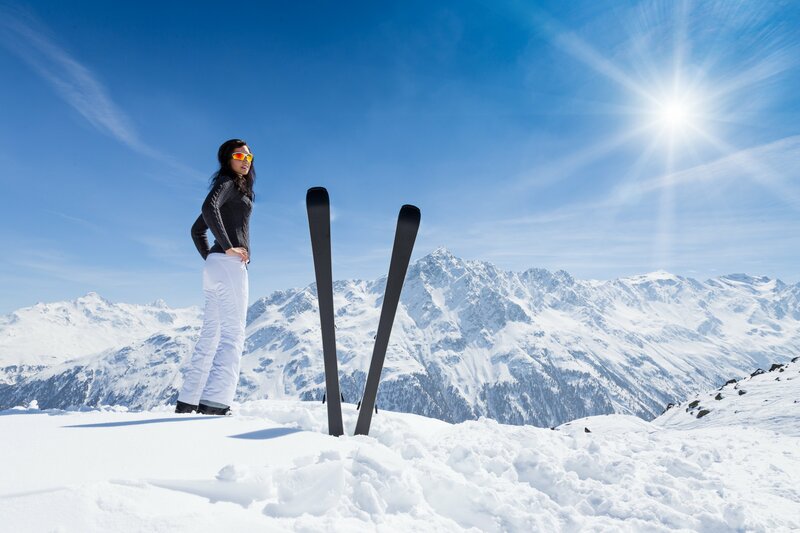 This treatment is particularly well suited to the thermal fabric range and may be used (both on polyester prepared for print and on dyed nylon) to create winter garments requiring an effective resistance to water and snow, without any compromise in terms of comfort, breathability and stretch. The real innovation lies in the attention to environment protection: DWR M is totally fluorine free, contains no chemical components and is fully sustainable thanks to C0 Fluorine Free technology based on renewable plant sources; this technology, like other M.I.T.I. technologies, is BLUESIGN certified. How long does the treatment last? The tests carried out (the so-called “Spray test”, which measures the wetting resistance of the treated fabric surface) have provided excellent results: MITI DWR M technology has been tested up to 30 domestic washes, with the best results on the market in terms of durability and performance, according to an evaluation carried out on the grounds of International ISO and AATCC standards.